As a leading seaport, Kakinada supports miners, manufacturers and growers throughout India as they sell goods and services profitably to countries around the globe. Agricultural products, granite and minerals move through a vast network of modern railways and highways like NH-16 and NH-216 to Kakinada where they are shipped to consumers in dozens of countries. 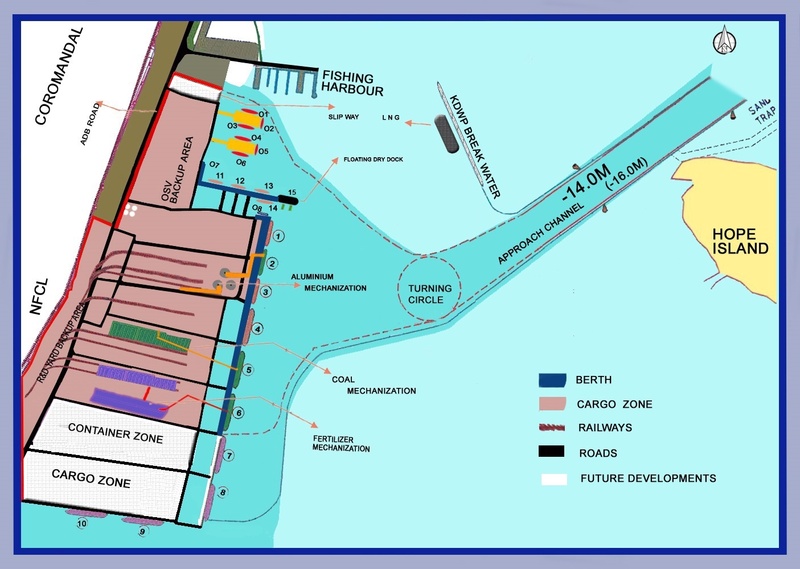 Kakinada Seaport is known for its strategic development of service modules to meet unique requirements of specialized port users. To provide premier customer service, Kakinada Seaports Ltd has always embraced modern practices, systems and technology to excel in port management and remain uniquely positioned as a multi product dynamic port handling liquid, bulk and break bulk cargoes. Kakinada is part of a Special Economic Zone and a proposed “Petroleum, Chemical and Petrochemical Investment Region”. It is a hub to all the deep sea exploratory activity in the region due to its deep-water sea port and its proximity to the gas fields.